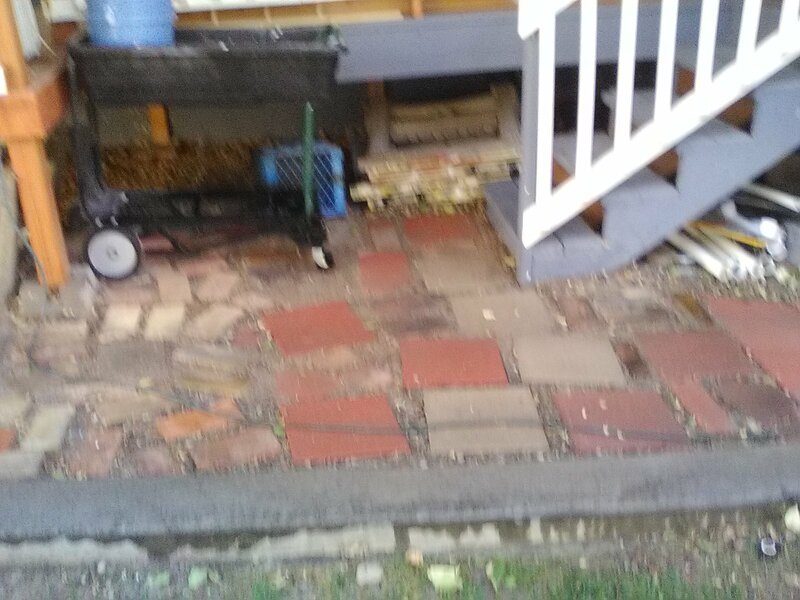 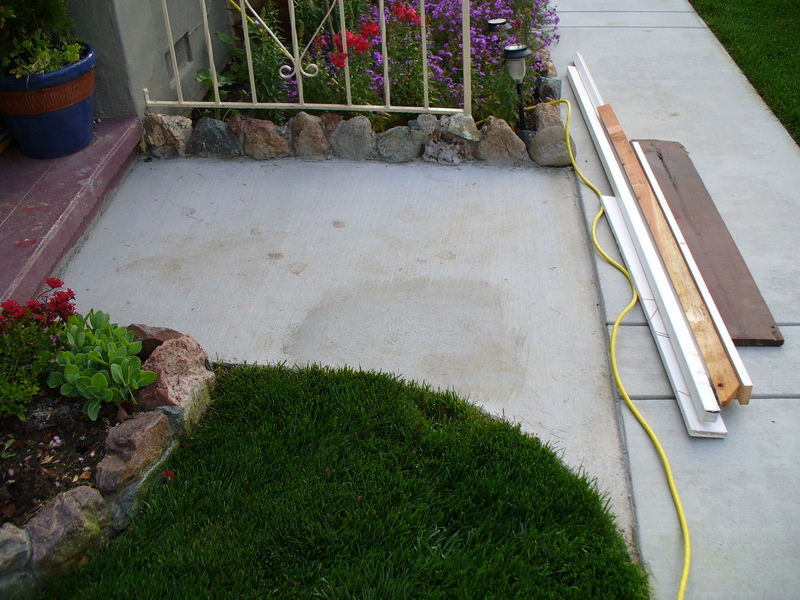 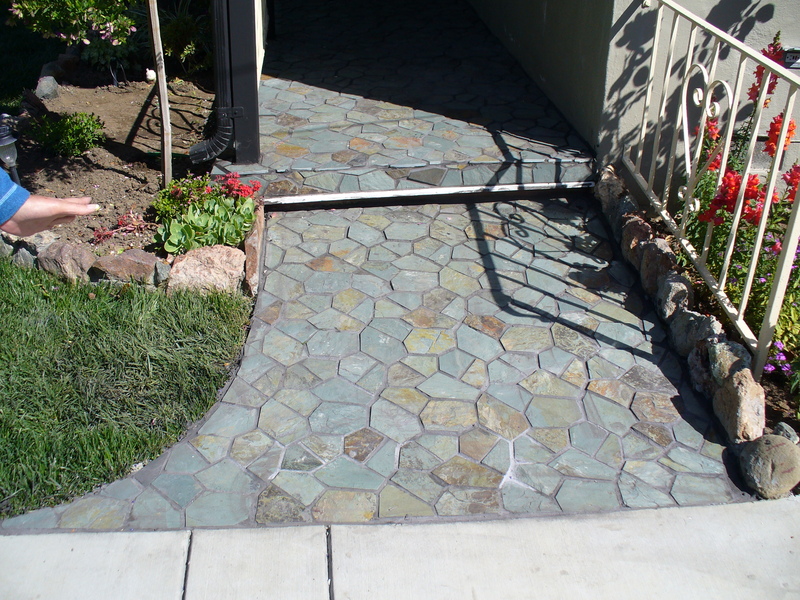 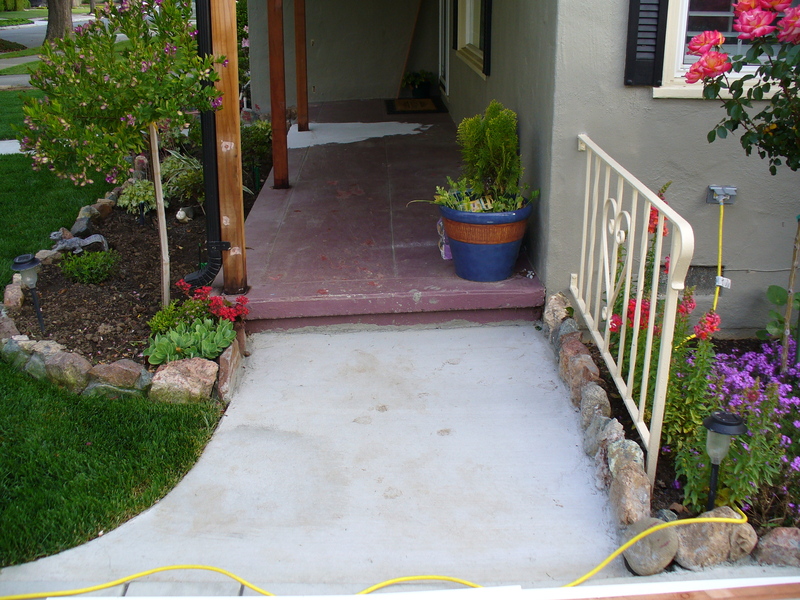 A depressed graveled walk and stair landing area was bordered by a deck, an elevated curb, a graveled drive, and an elevated slab. 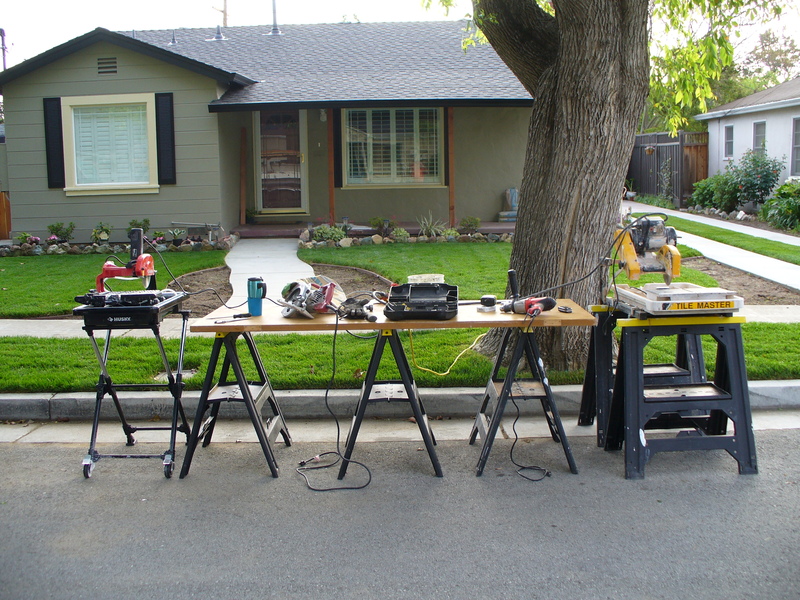 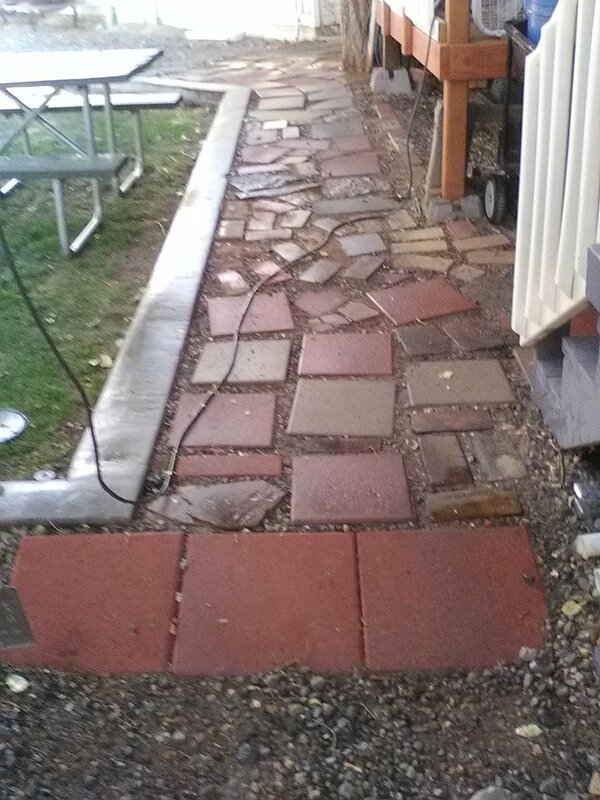 All which upon consideration, were begging for some type of fill, slab, or flagstone to level things out. 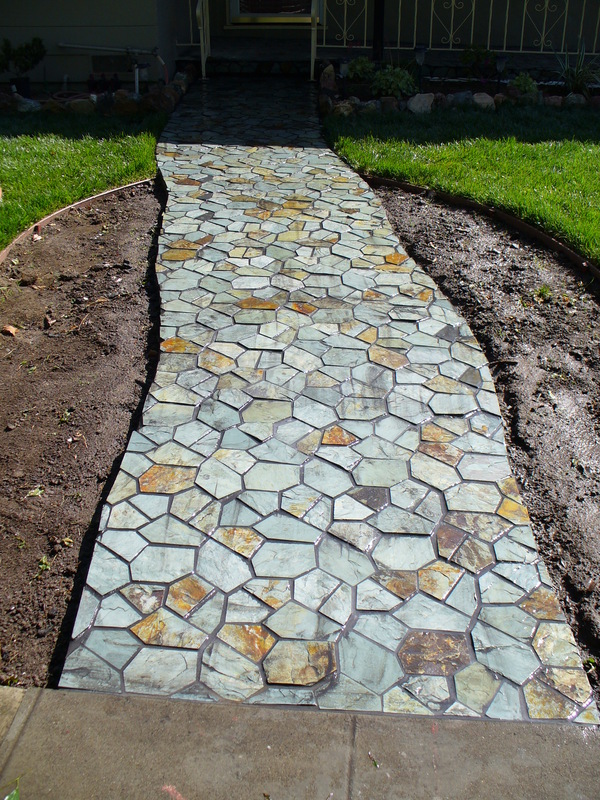 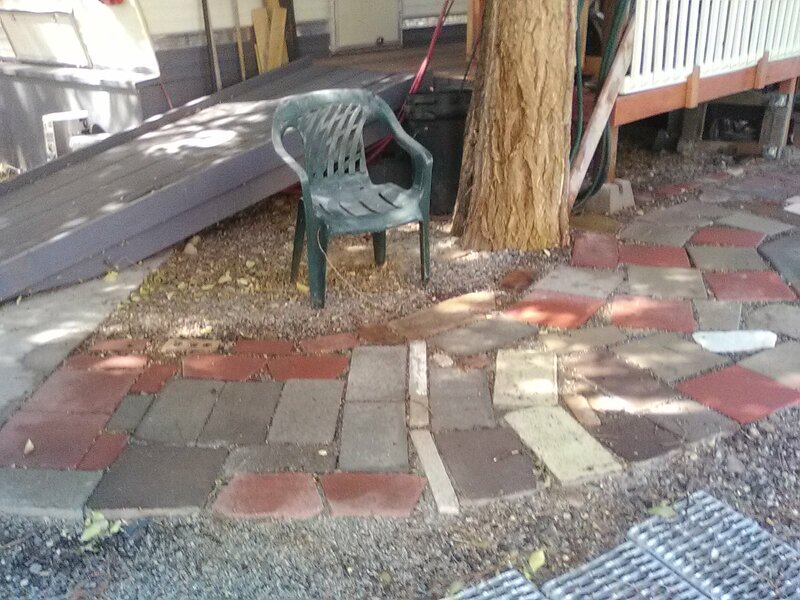 It was decided to scrounge up and down alleys and such for old brick, sandstone and other rock, pavers and so on...to get the job done after some judicious backfill material was scrounged up to seat the many thicknesses of materials that ultimately were gleaned. 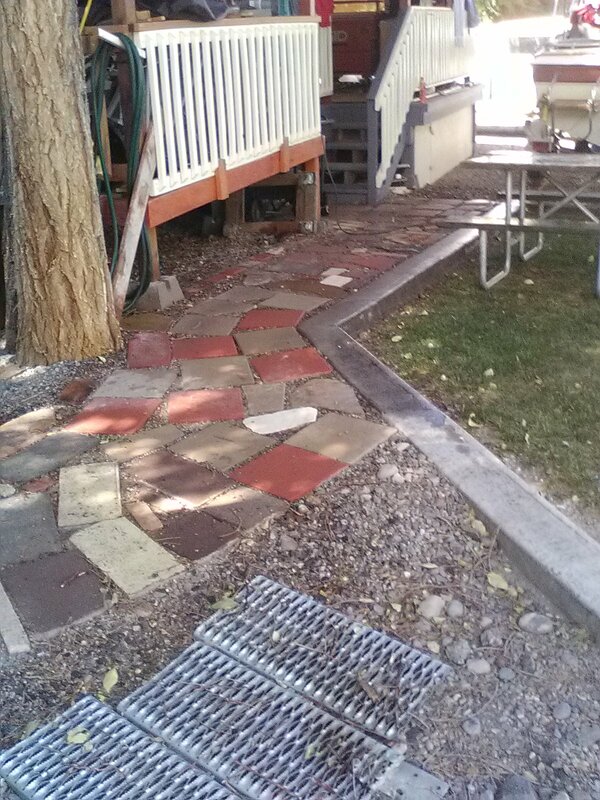 Over the course of months, and with about $80 spent on brand new pavers, what you see in the pictures came to pass.